In a country as diverse as India, the idea of luxury too is many. From a mass-produced, pricey cotton shirt with a logo to a masterpiece made by an artisan, anything is touted as luxury. It makes the L-word commonplace and merely the cost, not distinctiveness or craft, becomes its sole measure. Such a notion limits the discourse on luxury to the bling. But real luxe products are fast moving beyond brands or logos, like the unostentatious Patola sari. Made by the silk weavers of Salvi community in Patan, Gujarat, the hand-weaved sari is a work of art. Making one may take a year and the cost is upwards of Rs 2 lakh. In a year, the Salvis weave only about 30-40 saris. But the craft of making a Patola that uses double Ikat is fast dying. Double Ikat is a dyeing technique in which both the warp and weft of the fibre is dyed with patterns before stringing it together in the loom. "Patola is the ultimate luxury and the people who know textiles understand it," says Dr Preeti Mehta, an anaesthesiologist who is out to preserve this textile heritage. Sitting in her sylvan home in Ahmedabad wearing a red Patola, she looks resplendent. She had bought it over three decades ago for Rs 35,000. "Wherever I travel, people would ask me about Patolas. I want it to be part of every brides trousseau if they can afford it and be passed on as heirloom," she says. Such saris smack of luxury and as heirloom saris, they are bespoke. These days Mehta is steadily building a community of like-minded who understands India's rich textile heritage and organises private viewings. 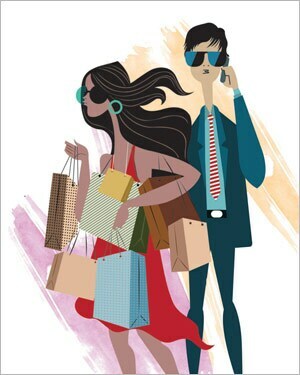 However, a majority of Indians are still in the process of getting exposed to global luxury brands. That the luxury products segment is growing at an average annual pace of 21.8 per cent, according to the CII-IMRB report 2013, vindicates this. Among the luxe products, the apparel and accessories segment has been growing at a steady 17 per cent over the last three years. This segment will drive growth in the luxury market as consumers, both traditionally wealthy and first-timers, see branded handbags or sunglasses as status symbols. In 2014/15, India's overall luxury market is expected to grow 17 per cent. Meanwhile, at Delhi's luxe shopping destination, DLF Emporio, a bevy of women with monogrammed handbags could be seen walking in and out of luxury stores. These are aspirational brands that promise finest quality. For instance, a Louis Vuitton suitcase, which is thrown at least a 100 times on ground to test its sturdiness. But amid the logos and the bling which flaunters prefer, one can spot the odd experientialist, wearing a pair of Tod's shoes or a bespoke suit with no visible brand name. "Education changes your perspective. Even a large population of nouveau riche migrate from Michael Kors to Tod's. If a person understands luxury, she will avoid a logo bag as that makes one a part of the tribe. 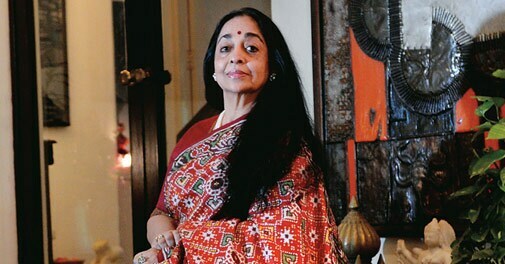 Luxury is about distinction," says Shefalee Vasudev, author of Power Room: The Untold Story of Indian Fashion. A DLF Emporio study has found that 51 per cent of the shoppers at the mall in 2013 were men, up from 35 per cent in 2012. Men prefer logos mainly in automobiles and accessories, while for apparel and vacations, they are more experiential and could belong to the connoisseur consumer group. Sunil Aggarwal, a second-generation businessman in his fifties, dresses in custom-made suits that could cost upwards of Rs 2 lakh. Sometimes even the fabric too is woven for him and that could take the cost of a suit to anything between Rs 8 lakh and Rs 20 lakh. The fabric's selvage carries the name of the customer and brands like Ermenegildo Zegna give the cut selvage as memorabilia. Darshan Mehta, Chief Executive of Reliance Brands, says the men's side of business is largely driven by experience. "It is driven by bespoke, made to measure, limited edition, something that is crafted for you specifically. The fact that it does not show the brand shows it is beyond the flash value, The price is for the experience," he says. The experience also includes an appointment with a made-to-measure specialist flown in from New York. Photographs of the fittings are taken and sent to the tailor in Italy. And if the suit does not come out the way it was planned, there is a no-questions-asked return policy. Almost all men's luxury brands in India offer bespoke service. Home shopping is yet another aspect of luxe experience. An experientialist male shopper will not spend time in a luxury mall. "One of the top jewellers in Bombay wears only Thomas Pink shirts. Every month or so, his secretary would call the store manager and place an order for 5-6 shirts, images are sent on Whatsapp and shirts are delivered," says Mehta. For men, the bespoke experience is also about going to a suite at a five star hotel to place an order for a suit. Brands like Zegna schedule appointments with made-to-measure specialists at the Oberoi in Delhi and Mumbai. Men prefer to pass on such experience to their sons, like a mother passing on a heirloom sari to her daughter. At the DLF Emporio, brands now display the heritage of the product. "Bespoke is the way to go. Consumers want personalisation. Initially it was about brand and bling. Luxury is now available to everybody. So brands are displaying heritage, offering bespoke services. The trend started last year," says Dinaz Madhukar, Senior Vice President, DLF Emporio. According to the Knight Frank's eighth edition of the Wealth Report, by 2023 India is likely to be number four after the US, China and Russia in the list of nations with most billionaires. It is apparent that consumers, most of them first-generation wealth generators, want to see value in their purchase. So lineage, luxury experience, craftsmanship, the story behind the fabric, all of it add to the products exclusivity. "These people are value conscious. You cannot patronise and teach them. It's a journey and you have to explain it," says Darshan. Luxury is an ever-changing concept and these days there is appreciation for the handcrafted. "If an individual gives a product undivided attention, it is luxury, and a discerning consumer is definitely aware," says Vasudev. She says that luxury has evolved and now the rich want to try out abstinence. "That is luxurious for them. Silvia Venturini Fendi [of Fendi, an Italian luxury fashion house] in an interview had defined luxury as freedom," says Vasudev. Elsewhere, in China, the shift from logo to experiential and idea-driven luxury is happening faster than expected. A survey of luxury goods consumers in Mainland China in 2012 by Bain and Co, a global management consulting firm, had shown that consumers in Shanghai and Beijing find the logo on a luxury good 'outdated' and 'not tasteful'. "We see the possibility of this happening in India much earlier," says Joydeep Bhattacharya, head of consumer products and retail practice for India at Bain and Co. While in China the lure for the western luxe brands lingers on, the well-heeled Indian buyer is as enamoured by Birkin bag as with a Patola. In India, those who can now spend on luxury include self-employed professionals, middle or senior level corporates, first generation entrepreneurs and people from business families. Aggarwal, for instance, buys luxe for the service and comfort. "The personalised service offered is excellent," he says. "Consumers are moving from 'in the show' to 'in the know'," says Bhattacharya. Brands have no choice but to follow. The psyche of an Indian luxe consumer has transformed - from the early 2000 when India shopped what the world had shopped two seasons ago to redefining the idea of luxury itself. The reticent jewellery designer, Viren Bhagat, whom the Vanity Fair called original and one of the greatest of our times, says, "People always had a taste for luxury. But it got lost in India's socialist policies. Now it is coming back." Bhagat's clients in India include traditionally wealthy industrialists and newly-minted billionaires. "It is funny how the wealthy find you. People have found me," says Bhagat who does not advertise and makes only 50-60 pieces a year for India. He is now busy preparing for his exhibition at the Metropolitan Museum of Art in New York. Even though the spotlight is on him, Bhagat doesn't want to be clicked. "What's the need?" he asks. Rightly so. Fame too, like luxury, is after all an ever-evolving notion.